Despite its small size, Malta is filled with adventure and history. From 5,000 year old temples, to world-class scuba diving, to monumental architecture, to hidden beaches—Malta has something for everyone. And if you're thinking of visiting, here's what you need to know—your quick travel guide to Malta. Located in the middle of the Mediterranean Sea, 50 miles (80 km) south of Sicily and 207 miles (333 km) north of Libya, Malta is a nation on the border between Europe and Africa. It consists of three islands—Malta, Gozo, and Comino—with a total area of 122 square miles (316 sq km). 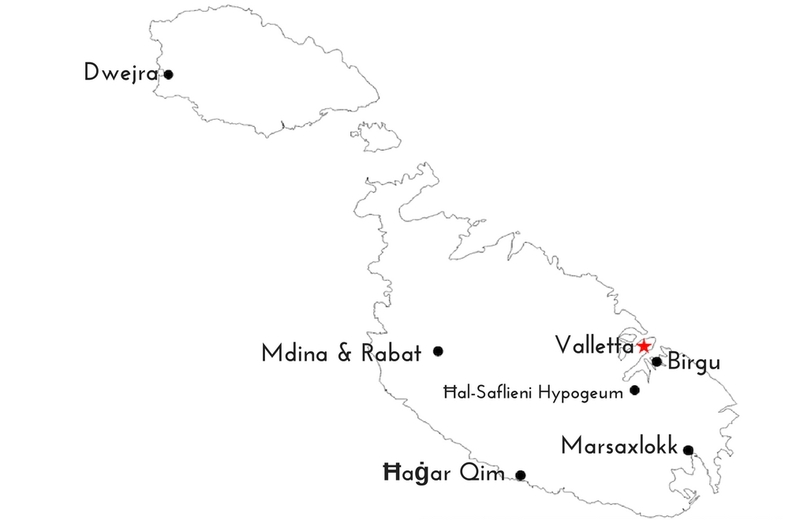 The vast majority of Malta’s 445,000 inhabitants live near the capital city of Valletta. The landscape is often quite rocky, with terraced fields and high hills aplenty. The coastline is filled with protective bays and hidden coves. What should I do in Malta? Less than 1/3 of a square mile in area, seemingly every street in Valletta has something to offer the history-loving traveler. Originally contracted as a military fort, the city mixes monumental baroque architecture with quant residential streets, and stunning harbor vistas. In preparation for its role as European Capital of Culture in 2018, Valletta was been beautified and a series of striking modern buildings have been constructed, including a City Gate, Parliament House, and Theater by Renzo Piano. The warm waters around Malta are perhaps the nicest for diving in all of Europe. With impressive World War II shipwrecks, peaceful coves, and diverse marine life, there is something for every interest and of every skill level. And the archipelago’s small size means that visitors are always only a short trip from a dive spot. Visiting this incredible underground necropolis is an unforgettable and awe-inspiring experience. Dug out from the soft Maltese limestone some 5000 years ago, the Hypogeum is amazingly well preserved, with ochre paintings still visible in some areas. Book several months in advance here to ensure you get a ticket as daily visits are limited. No visit to Malta is complete without a stop at the walled hilltop city of Mdina. Originally founded by the Phoenicians in the 8th century BCE, the city was subsequently settled by Romans, Arabs, and Crusaders, who are largely responsible for its current appearance. Walking the narrow streets that weave through its honey-colored buildings—especially at night, when the crowds have gone—one feels as though they’ve been transported to another age. Adjacent Rabat offers its own highlights, including labyrinthal catacombs. This picturesque fishing village is the perfect place to eat fresh fish and remind yourself of Malta’s sea-faring past. Walking around the harbor, you can admire the brightly-painted fleet of luzzu—traditional fishing boats—that call Marsaxlokk home. Note the pair of eyes affixed to their bows, a tradition dating back to Phoenician times which is said to ward off evil spirts. Then, when you’ve worked up an appetite, grab a water-front seat at one of the village’s excellent seafood restaurants. Until recently, the Dwejra coastline on Gozo was best known for the beautiful limestone arch known as the Azure Window, which collapsed into the sea in March 2017. The landscape is so striking that it was selected as a filming location for the HBO series Game of Thrones. In good weather, the Island Sea provides a safe place to swim and snorkel. Visitors who climb out to the end of the area’s above-water rock formations, which are consistently hit by wind and waves, are reminded of the powerful natural forces that produced these beautiful features. Just across the water from Valletta, Birgu (also known as Vittoriosa) is filled with charming backstreets that provide an intimate look at modern Maltese life. Massive super yachts park at the docks, local school children play in the squares, and pensioners shuffle to meet friends for afternoon coffee. When the Knights Hospitaller originally came to Malta, they made Birgu their home. The recently-renovated Fort St Angelo, which housed the Knights until the development of Valletta in the late 1600s, has a worthwhile museum and offers stunning views of surrounding area. Located on a site of breathtaking beauty—near the edge of verdant coastal cliffs—these two prehistoric temples are among the best in Malta. Recently covered by protective structures, visitors are able to enter into the temples, imagining for themselves what it must have been like here when they were built around 3600 BCE—a full 500 years before Stonehenge. While little is known about their creators, the nearby visitor center and complementary audioguides provide useful insights. 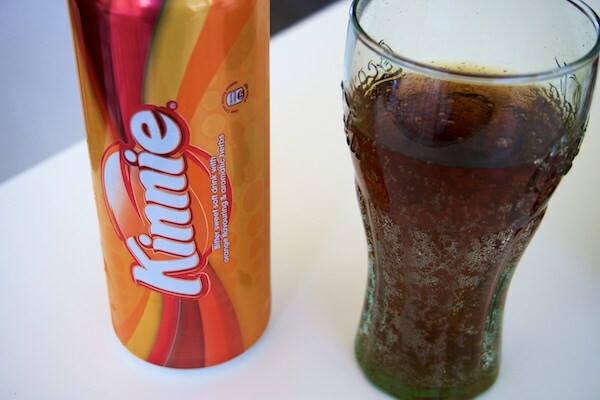 What should I eat and drink in Malta? Contemporary Maltese cuisine is a clear representation of its turbulent past. Over thousands of years, these islands were visited by foreign invaders and merchants, bringing exotic flavors and recipes with them. Today, the culinary traditions of Crusader knights mix with spices from the Middle East, British staples, and Sicilian sensibilities—producing an eclectic food culture that’s uniquely Maltese. 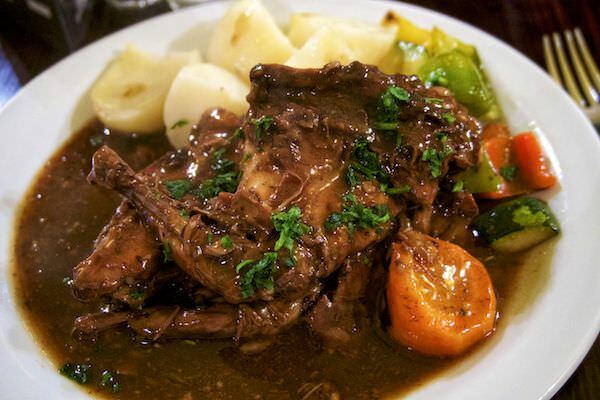 Rabbit is without a doubt Malta’s most beloved dish. And perhaps the best way to enjoy its tender meat is in a stew, or stuffat. Originally introduced to the island by the Normans, rabbit quickly became a symbol for feudal repression, as it was made illegal for peasants to hunt the animal so as to ensure there were adequate numbers for the knights to hunt. Today, it is served in nearly every traditional restaurant, although many locals swear that the best comes from Tal-Ingliz in the village of Mgarr. Ftira is traditional Maltese bread. It’s similar to ciabatta and can be eaten plan as a snack or used to make a tuna/bean/tomato/caper sandwich. Grab one at the Fontanella Tea Garden in Mdina, and chow down while enjoying the magnificent view of the surrounding countryside. On a clear day you can see all the way to Valletta. Made with phyllo-like dough and filled with ingredients like mushy peas or ricotta, pastizzi are found throughout Malta. They are usually baked on metal trays in gas or electric stoves. 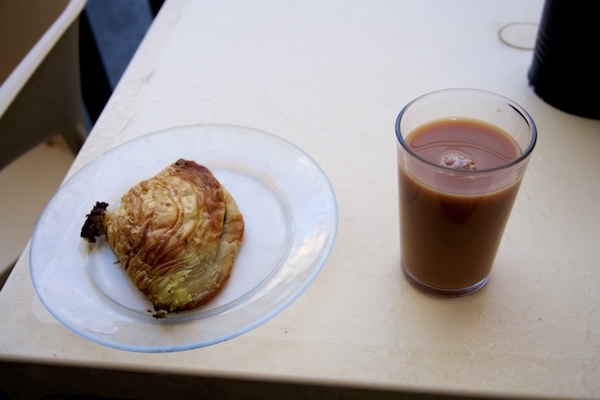 In the opinion of most Maltese (and this writer) the best pastizzi are served at Crystal Palace, a hole-in-the-wall establishment in Rabat that’s always teaming with locals. 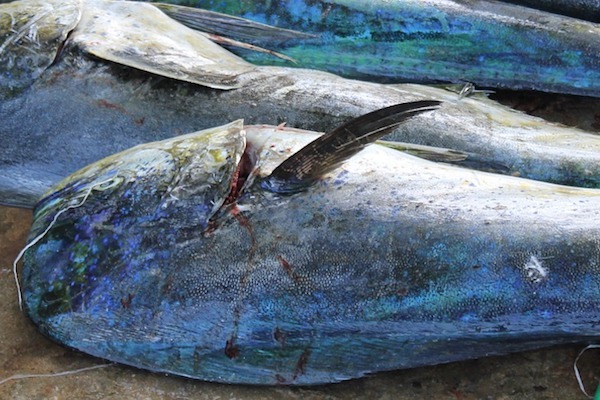 Also known as mahi-mahi or dolphinfish, lampuka is a Maltese speciality. 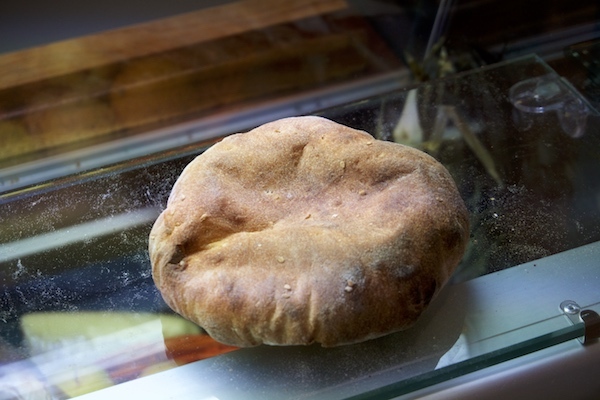 If it’s available, order it baked at La Reggia in Marsaxlokk. Despite their lack of acclaim, Maltese winemakers produce some fine wines. The two indigenous grape varietals are gellewza (red) and girgentina (white). 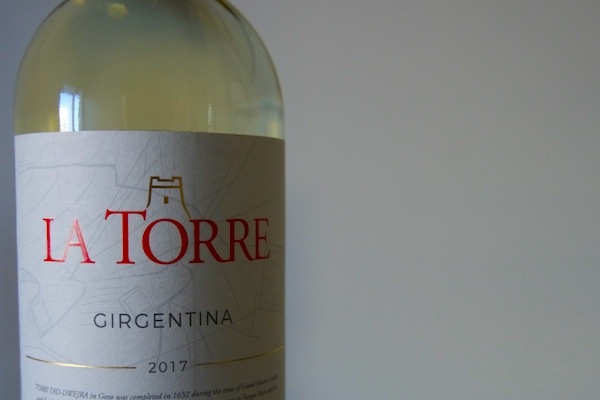 The former has hints of prune and cherry and is quite light, whereas the latter—the superior option—is fruity and delicate. While a ferry services from Sicily and mainland Italy are available, the vast majority of visitors arrive in Malta by air. Malta International Airport is 5 miles (8 km) south of Valletta, and is regularly serviced with flights from Europe and North Africa. If you’re coming from North America or Asia, there are no direct flights and you will have to connect through a major European hub like London or Rome. Malta’s national airline—Air Malta—is small but has a good safety record. It flies directly to many European cities, but beware of steep extra baggage fees. Malta’s diminutive size and good public transportation options make it relatively easy (and speedy) for visitors to get around. I recommend purchasing the 7-Day ExplorePlus Card, which for €39 gives you unlimited access to the country’s bus network, as well as two trips on the Sliema-Valletta ferry, and your choice of a full-day tour on the City Sightseeing hop-on/hop-off bus or a round trip to Comino by boat. There is also a less-expensive Explore card (€21), which only includes bus trips. Whichever you choose, you can purchase your’s at a number of locations, including Airport’s Arrivals Lounge, the Sliema Ferries (next to bus stop ‘Ferries 2’), and the Valletta Bus Terminal (next to Bay A1). If you’re in a hurry—or trying to get somewhere not easily covered by the bus network—consider getting a taxi. eCabs black cab service is a fast, convenient, and relatively-affordable (the cost from one end of the island to the other—an hour’s drive—will cost around €35). way to get around the island. Reservations can be made online or by phone. Prices are pre-determined by zone, and are generally much less than those of the standard white cabs. Unless you anticipate regularly traveling between remote areas, there is little reason to rent a car in Malta (despite the lower-than-average-for Europe prices). The roads are fine, but many foreigners find the driving experience somewhat stressful. Not only do you drive on the left-side of the road, but Maltese road culture is closer to that of Italy than Japan. Parking is generally available, but can be difficult to find in the Sliema-St. Julian’s area. Malta and Gozo are connected by a regularly-scheduled (every 45 minutes for most of the day; see here for current schedule) ferry that operates from Cirkewwa. The cost is €4.65 and passage takes 30 minutes. There are bathrooms and a cafeteria onboard. Head to the starboard (right) side of the ship for the best views when heading to Gozo. -Multiple locations in Malta were used for backdrops in the HBO series Game of Thrones, including the Dwejra coastline, Mdina, and Valletta. -It was originally part of Italy…kinda. Millions of years ago Sicily and the Maltese archipelago were connected through a land bridge that is now 300-plus feet below sea level. -Less fun than surprising, Valletta claims to be the most bombed place in the history of the world. For 3 years in World War II German and Italian forces bombed the city nearly non-stop before the Allied forces were victorious. -Scholars believe the name Malta is derived for the Greek word melitē, meaning ‘honey-sweet’, possibly due to a species of bees native to the island. -Malta is the eight-most densely populated country in the world, with 3,424 people per square mile (1,322 per sq km). -Despite it’s small size, Malta has the fourth-highest rate of car ownership in Europe, making parking rather difficult. -More Maltese people live in Melbourne, Australia than in Malta. -There are a total of 359 churches in Malta, meaning there’s almost one for every day of the year.